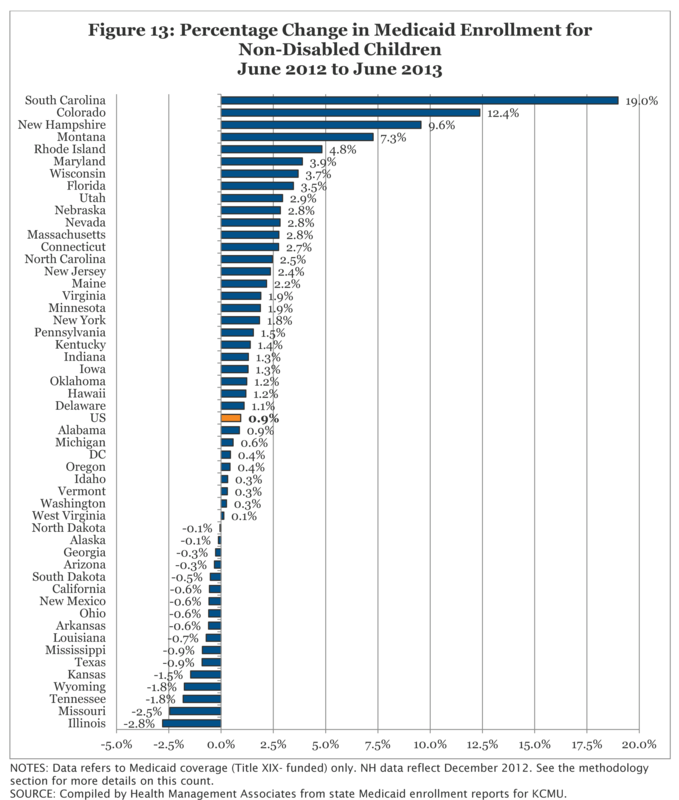 Colorado reported an additional 45,200 children were enrolled in Medicaid in June 2013 compared to one year earlier. This was likely driven in part by the implementation of Express Lane Eligibility for children in early 2013 along with additional enrollment simplifications implemented in FY 2012. 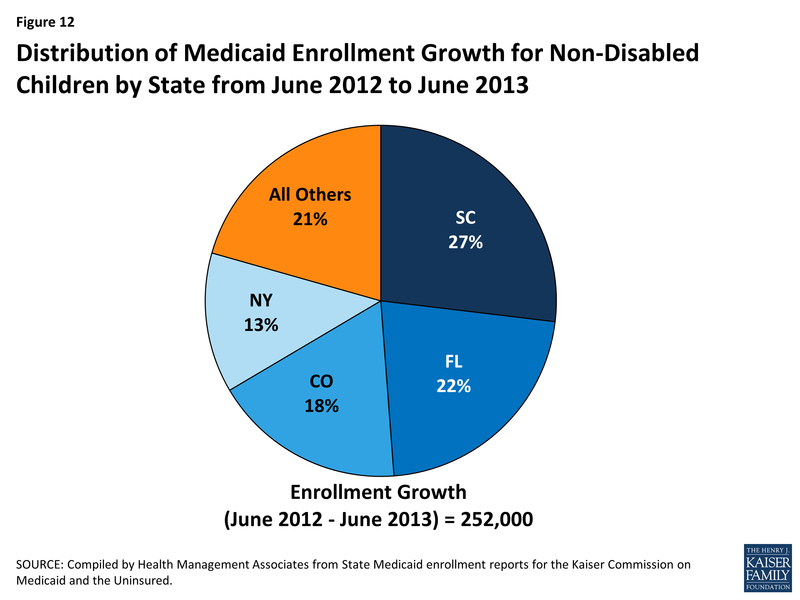 South Carolina saw an additional 68,700 individuals enrolled in this group during this period. The state expanded their use of express lane eligibility for children at application in FY 2013. During the period from June 2012 to June 2013, 17 states saw declines in enrollment among children. (Figure 13) However, the declines were relatively small, most under one percentage point. This is due in part to the fact that eligibility levels and enrollment procedures for children in Medicaid and CHIP have been preserved due to the maintenance of eligibility (MOE) requirements; these requirements will remain in effect for children until 2019.